Grab a cup of hot cocoa and some scissors and settle in for a long winter's night of crafting! As promised here's the "Homemade Christmas" tutorial. 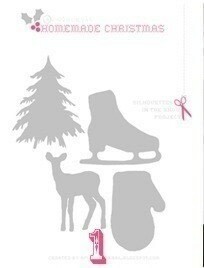 Ice skates, evergreens, mittens and reindeer - all in snowy, glittery white and accented with a ribbon color of your choice. You just might be tempted to leave it up through January! 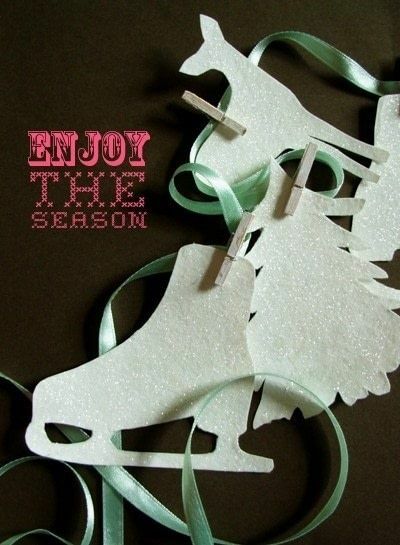 Hope you all enjoy it, and feel free to share photos if you make one of these wintry garlands -or another creative variation of your own. Download the template pdf. Print on a sturdy piece of cardstock. 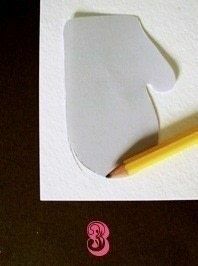 Cut out desired shapes to make stencils. Trace stencil shapes on sturdy white paper - I used watercolor paper - and cut out shapes. 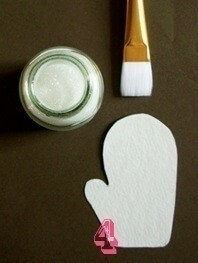 Paint a thin layer of glue on one side of ornament and apply an even layer of glitter. 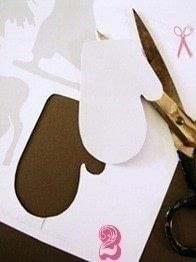 Make enough glittered ornaments to fill in a desired length of 1/4 inch ribbon. I lightly whitewashed mini clothespins (available at most craft stores) with acrylic craft paint and used them to affix ornaments to ribbon. 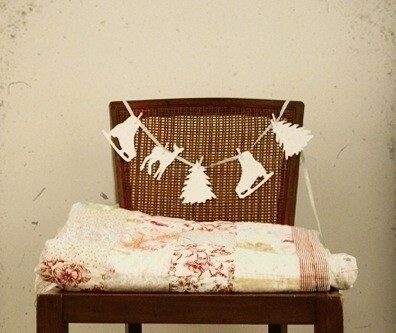 Hang across a door frame, mantle or window and enjoy! Template still doesn't work. Bummer since I'd really like to have this for the fall. I really love it, but can't print the template....:0( Is there any way to get the PDF for this? sweet and lovely the link for to download the templates don't work. but still love your idea, sooo cute and pretty!!! !